Every poem by Robert Bly is to be adored. Bly’s creativity, poetics, and precision are eloquent and deliberate. Reading his poems is like reading a poetry field guide. He observes and researches human interaction with nature, and then uses metaphors and personification to transform encounters into emotional enlightenment. Bly is a master of nature poetry, a master whose perfection requires eternal praise. Robert Bly’s Collected Poems contains selections from multiple works, ranging from Silence in the Snowy Fields (1962) to Talking into the Ear of a Donkey (2011). Masterfully crafted from the outset, each poem carries unique images and mechanics, proving Bly’s poetic range and skill. He easily flows from narrative to free verse poetry, without losing any multisensory gratification. He also punctuates his poetry, which proves his careful attention to details. Details are stark in Bly’s simple and clear word choice. Here is the first stanza of “Come with Me”: “We walk together in willows, among willows. / The cowrie shell has its rosy mouth; / the tree nods and rises; / the conch returns to the dark waters.” He identifies with nature, welcoming it to consume him and his audience, “and enter the valley where no one is king.” His clear word choice creates a clear metaphor: calmness through solace, escaping city life to identify with nature. Poets strive for strong senses of place, for strong landscapes of identity. Bly is a master at this. Here is the entirety of “Mountain Grass”: “Rain falls on mountain grass; we remain close all day. / The fuchsia lifts its tendrils high. / I need you, to hold you, as mountain grass holds rain. / Dampness falls on dampness; rain on wet earth. / I am the traveler on the mountain who keeps repeating his cry.” It is clear in this poem that the sensual feel of mountain rain is a metaphor for human intimacy. One cannot help but recall the poetry of Robert Frost, Jim Harrison, and Mary Oliver when reading Bly’s engaging, multisensory, and true poetry. Bly writes with a naturalist’s eye and sage view to derive permanent human emotions from natural beauty. 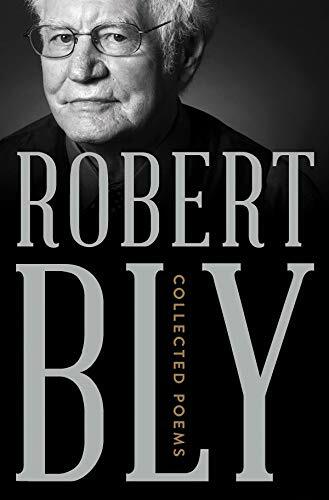 For all readers, writers, and lovers of life, Robert Bly’s Collected Poems, is an honor to read.